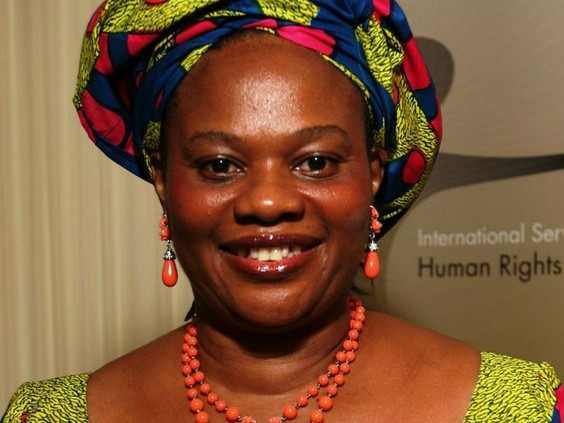 Family sources have told SaharaReporters that Dora Akunyili, a former professor of pharmacy, former director general of the National Agency for Foods and Drug Administration and Control (NAFDAC), and one-time Minister of Information, died of complications arising from uterine cancer. One relative told SaharaReporters that Mrs. Akunyili was completely healthy until she lost the Anambra senatorial election in 2011 to Senator Chris Ngige. The source stated that, at the end of the legal tussle over the election, the former minister visited the U.S. in 2013 to undergo what she thought would be a routine medical checkup. “Her doctor in America did a hysterectomy and found out that she had a malignant endometrial cancer,” said this source. He added that it was the tumor that eventually took her life last week in a hospital in the Indian city of Bangalore after she had struggled with the disease for two years. Another family source stated that Mrs. Akunyili had received the best treatment after undergoing surgery to remove the tumor, but disclosed that the cancer was of such malignant state that it resisted therapy. One of the two sources revealed that Mrs. Akunyili maintained an optimistic spirit throughout her illness. “She never once believed that she would succumb to the disease,” he said. “Instead, she returned to Nigeria determined to fight the disease.” He added that the former minister was so upbeat about triumphing over the sickness that she accepted her nomination as a delegate to the ongoing National Confab in Abuja. Her emaciated appearance at the conference was the first sign that she was seriously ill. The other family source also said that, in 1998, Mrs. Akunyili had received a wrong diagnosis of cancer. She was serving then as the Zonal Secretary (Southeast) of the Petroleum Trust Fund (PTF). “She traveled to the UK then for treatment. Doctors then discovered that she was suffering from irritable bowel syndrome (IBS).